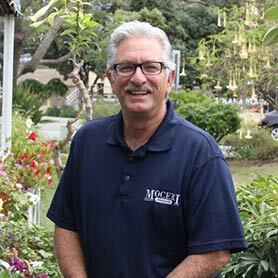 Leo joined the Moceri Produce Sales Team in 2000 following a 20-year career in the foodservice industry. Early on in his career, he exhibited his passion for the foodservice business by owning and operating his own successful restaurant and catering business throughout his 20’s before transitioning into the wholesale sales side of the business. The combined 36 years of knowledge and experience he has gained has given him valuable insight on finding solutions for the current demands of restaurateurs, chefs and food & beverage buyers. Leo has attended and completed several UC Davis Post Harvest Technology Courses as well as attending several Distributor Training workshops keeping him up with all aspects of current restaurant trends. Leo has toured many growing/packing regions throughout the California and Arizona regions. He has a clear understanding of where product comes from and how it should be handled as well as helping customers to understand product seasonality and product yields. Leo’s continued ambition, along with Moceri Produce, is to provide quality produce with customer service that exceeds customer expectations.